The holiday shopping season is upon us, but investors may want to look for some great year-end deals, too. Here are five stocks that our contributors really like right now: Electronic Arts, Medivation, Disney, TrueCar, and SolarCity. With the holidays quickly approaching, savvy shoppers are looking for the best deals. Investors should be shopping now, too. After all, even with a strong rebound from late summer's market lows, the S&P 500 is still up only 4% in 2015 -- about half the historical rate of return. With that in mind, we asked five of our top contributors to give us their best stock ideas for December, and we got some compelling choices. The list includes well-known companies such as The Walt Disney Company (NYSE:DIS) and Electronic Arts (NASDAQ:EA), little-known biotech Medivation (NASDAQ:MDVN), upstart car-buying service TrueCar (NASDAQ:TRUE), and a beaten-down former highflier in SolarCity Corp. (NASDAQ:SCTY.DL). Does one of these stocks belong in your stocking? Keep reading to learn why our contributors think they should be on your list. However, the business has done incredible things. 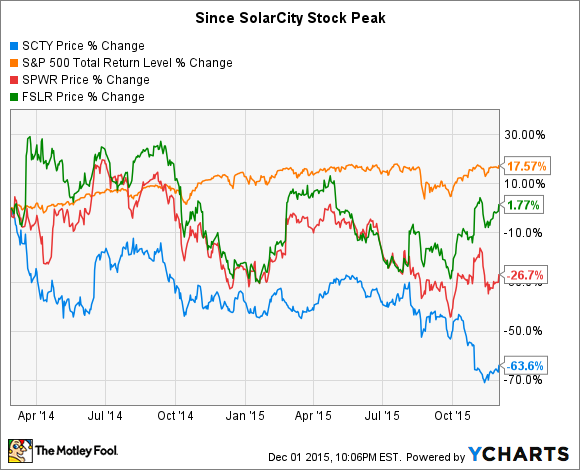 Since the end of Q1 2014, SolarCity has increased its contracted revenues from $2.5 billion to nearly $9 billion. That's stable, reliable cash flow that will be paid out over the next 20 years. Yes, the company has also increased its operating expenses significantly, but that's almost entirely a product of ramping up sales and marketing, and those investments -- as a percentage of sales measured in cost per watt -- are likely to decline sharply going forward. Here's the bottom line on what makes SolarCity a top stock to buy right now: Management has largely executed on the things they've committed to in the past, and they've made a commitment to moderate investment in growth to improve cash flows. The company is projecting to grow by 40% in 2016. That's a far cry from the 80%-plus growth we've come to expect, but it's still an enormous rate, and solar remains one of the most exciting growth industries out there. 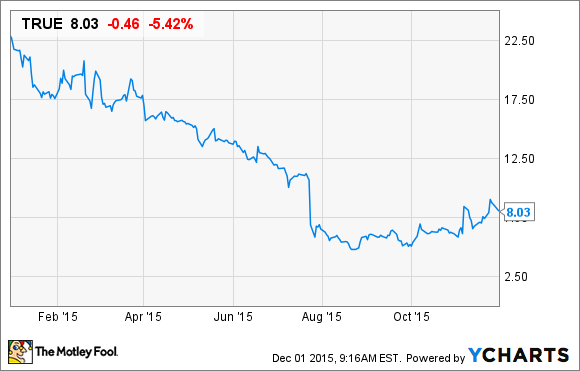 SolarCity isn't a risk-free stock. But with the risk, there is tremendous upside. The market has turned very negative on this growth stock, and now's a great time to buy for the long term. Steve Symington (Disney): I think investors would be wise to pick up shares of Disney this month. In particular, I know I'm not the only one excited by the financial promise of the Dec. 18 debut of Star Wars: Episode VII -- The Force Awakens. As the first cinematic fruit of Disney's $4.05 billion acquisition of Lucasfilm in 2012, Episode VII had already racked up more than $50 million in advance ticket sales by Nov. 19 -- double the previous $25 million record set by The Dark Knight Rises in 2012, and with almost one full month left for fans to claim their seat on opening night. And though Disney execs are unsurprisingly doing their best to temper expectations, it's no wonder some box-office pundits are speculating that Episode VII could ultimately eclipse Avatar's record as the highest-grossing movie of all time. Source: The Walt Disney Company. But investors also shouldn't forget to closely watch Disney's core Media Networks segment, consisting of its 80% stake in ESPN, 50% of A&E TV Networks, and full ownership of ABC Family and Disney's namesake channels. Last quarter, Media Networks represented 43.1% of Disney's total revenue, and 51.5% of total operating income, so it's clear that any miscues here could have an outsize negative influence on the company's overall results. At the same time, however, Disney specifically cited strength at ESPN for relative improvement in operating income during its fiscal-fourth-quarter report last month, largely silencing critics' concerns over cord-cutting as a primary antagonist in the near term. In the end, if Disney can continue capitalizing on its enviable movie slate (which also includes upcoming blockbuster titles from Pixar, Marvel, and its namesake studios) while successfully navigating today's changing media landscape, I think investors who buy today will be handsomely rewarded in the process. Brian Feroldi (Medivation): With 2015 coming to an end, I think it's a great time to scoop up shares of companies that are posting great quarterly results yet have only seen their stocks head lower. I think we have that exact situation happening right now with Medivation, a profitable biotech focused on treating cancer, which is why this company is my top idea for December. Medivation's Xtandi has huge long-term potential. Source: Medivation. Medivation stock has been on a tear for several years thanks to Xtandi, its treatment for metastatic castration-resistant prostate cancer. Xtandi has been growing like gangbusters for years and shows no sign of slowing down; in the most recent quarter sales were up 73% in the U.S. and 116% in the rest of the world. These results allowed Medivation to show a strong quarterly profit, which is something that not many other biotechs can claim. Xtandi is growing so quickly because it helps patients delay the need to start chemotherapy. In clinical trials, patients who used Xtandi went an extra 17 months before they needed to start treatment. Xtandi also lengthened patient survival by four months and meaningfully reduced the risk of death from the disease. Given that prostate cancer is the second most diagnosed cancer, Xtandi appears to still have a long runway of growth ahead of it. Despite all of its potential and stellar financials, shares of Medivation are down 38% from their springtime highs and shares are currently trading for about 23 times next year's earnings. I think that's simply too cheap for this high-quality company, so I think Medivation is a great stock to add to your December shopping list. Anders Bylund (Electronic Arts): In the summer, video-game veteran Electronic Arts seemed to have all the answers. In the capable hands of recently appointed CEO Andrew Wilson, the company hadn't missed an earnings estimate since the spring of 2013. Share prices doubled in 2014 and rose another 57% through the first seven months of 2015. And then the rocket fuel ran out. EA shares have traded sideways since late July, despite beating two more earnings targets during this period. Investors seem to have painted the gaming industry with one huge brush, bundling outperformer EA into the same category as struggling game retailer GameStop. 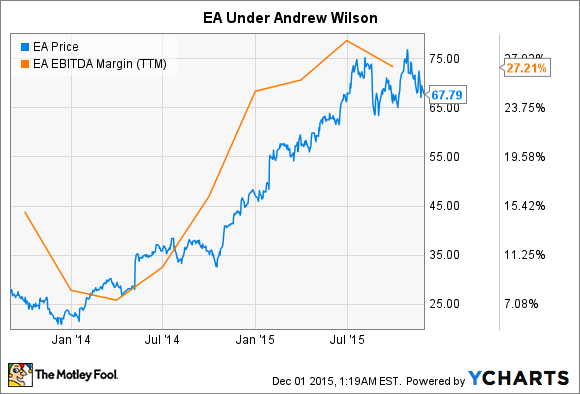 When GameStop fails (and that happens a lot these days), EA shares tend to struggle. That's not at all fair, given that the same digital distribution trends that are undermining GameStop's traditional retail model also provide sales growth and wider margins for Electronic Arts. In short, EA's skyrocketing stock returns have taken a four-month break for all the wrong reasons. The holiday season is already underway, and gaming business genius Andrew Wilson still runs this show. Chances are that EA's explosive growth will resume in January, when the final holiday-quarter numbers come in. Meanwhile, nobody knows whether the stock will continue to stall all the way into 2016. For deal-hunting investors, there's no time like the present. John Rosevear (TrueCar): I thought shares of online car-buying service TrueCar were a good buy back in September. But even though the company's share price has recovered somewhat since then, I think they might be an even better buy now. Here's the backstory: For TrueCar's business to work, it needs good relations with its car-dealer partners, but those relationships have been contentious for a long time. After a big public spat with giant dealer group AutoNation and a surprise second-quarter earnings miss, TrueCar's board lost patience. CEO Scott Painter, President John Krafcik, and top Vice President Larry Dominique all announced their departures. Krafcik and Dominique are respected auto-industry veterans. News that they would depart rattled investors: Were they fleeing a sinking ship? But it's starting to look like TrueCar's board had a solid vision. The company's new CEO is Chip Perry, who built pioneering car-classifieds site AutoTrader from one employee into a strong, thriving business. Perry is well regarded among Silicon Valley investors, and -- importantly -- by car dealers. Perry won't officially take over the role until Dec. 15, but he's already set out to begin mending TrueCar's relationships with dealers. He's promised dealers that TrueCar would "earn back their trust" and that he would improve the balance that TrueCar strikes between consumers' and dealers' needs. Perry says it's too early to share specifics on what he'll change at TrueCar. He'll need to draw a fine line between assuaging dealers and TrueCar's core mission, which is to improve the car-buying experience for customers. But his presence has already begun to stabilize this still-promising business, making it once again an intriguing investment.